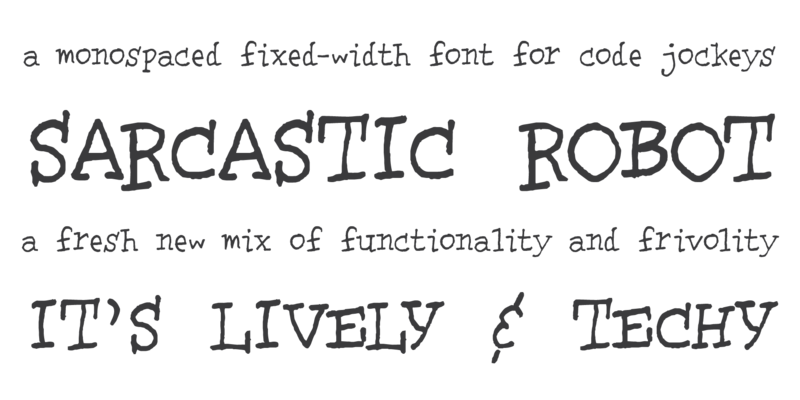 Sarcastic Robot - Chank Fonts! Here’s a tongue-in-cheek geek celebration font for my friends and other code-jockeys who’ve been longing for a new monospace font. 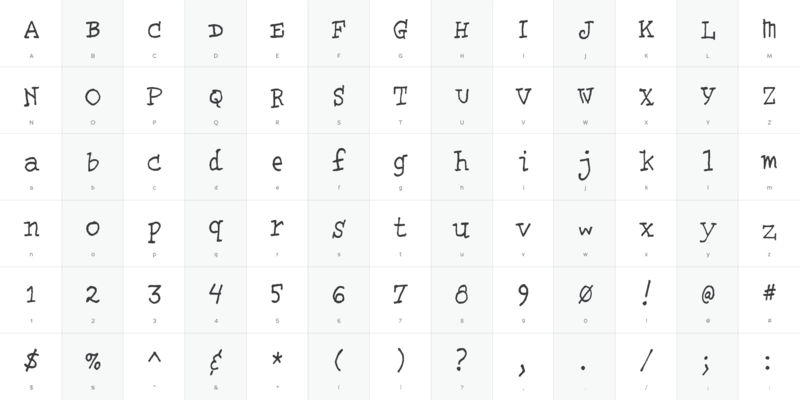 I set out to create the world’s greatest monospaced font. I failed a few times, then another friend suggested I make a sarcastic font. I tried to create a sarcastic monospaced font, and Sarcastic Robot is what happened, first try. It’s quirky and weird, but legible and sane, too. Lively and techy, it’s a fresh new mix of functionality and frivolity.